Cervical cancer is the most common cancer among women between 15 and 44 years of age in India. Current estimates indicate that every year 134420 women are diagnosed with cervical cancer and 72825 die from the disease. Close to 8% of women are infected with HPV at a given time, and over 75% of invasive cervical cancers are attributed to HPVs 16 or 18. 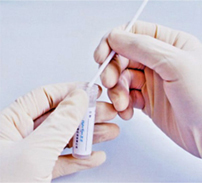 Hybribio was founded by a group of world famous professors and entrepre- neurs from Hong Kong and Mainland China in 2000.The company is devoted to innovation and technology in developing nucleic acid test (NAT) diagnostic Kits for healthcare.HybriBio is one of the leading biotech companies in the world today, and provides cutting edge technology for HPV testing, particularly forthe early screening of cervical cancer. 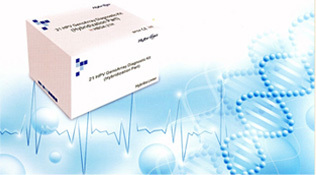 The HPV GenoArray DNA test is ideal for screening and genotyping of 21 types HPV, which causes cellular changes in the cervix and could lead to the development of cervical cancer.This kit is SFDA and CE approved and has been extensively used in medical and research laboratories. 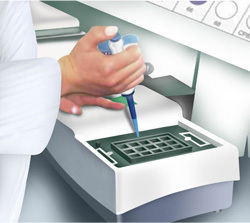 HybriMax is based on Hybribio’s patented “Flow-through Hybridization” platform,which is the fastest, cleanest, and most affordable method to carry out any type of nucleic acid and protein hybridization. For More Info Click On Us Hybribio.